This website primarily seeks to preserve and make available ethnographic material in digital format, and contains bibliographic references and links to online journals. Table of contents for 1995-2006 can be found on this website, hosted by the University of Virginia Libraries. Online database of more than 10,000 Tibetan-language research articles published in the People’s Republic of China (PRC). Many English abstracts provided. Also includes contents of Rig gnas lo rgyus series and the English-language journals, Tibet Studies and China Tibetology. Thousands of journals in the humanities and social sciences since 1994, including periodicals from national universities throughout the PRC, Qinghai Minzu Yanjiu, China Tibetology, etc. Full-text in both CAJ viewer and PDF. English abstracts for most articles. May search in Chinese or English. Also includes Century Journal Project database, covering articles prior to 1994, as well as full-text databases for dissertations and core newspapers. By using it, you can search for some articles which are not provided at the China Academic Journals site (especially before 1994). The limitations of this site are that you must use simplified Chinese characters for searching, and you cannot download or print articles directly. This database 全国报刊索引数据库 contains the most comprehensive citation data of Chinese newspapers, journals and magazines in humanities, social sciences, and science and technology from 1857 to current. It includes 10 packages divided by years and by two general categories of social sciences and science & technology. Its pre-1949 packages are considered to be especially useful. The supplier (an affiliate of Shanghai Library) limits access to much of its pre-1949 data to subscribers only. This database 中文期刊篇目索引 covers over 4,000 periodicals in Chinese and Western languages published in Taiwan, HK, and Macao from 1970 to current. "It includes general works; philosophy, religion; natural science; applied science; social science; history, geography, and biography; language and literature; art. New data are added each month with retroactive archiving. "Some full texts are available. More importantly, you may request some periodical articles that you cannot find at North American libraries to be delivered from the National Central Library to you promptly (via the Star East Asian Library). It’s like you’re using National Central Library periodical collections at Columbia. Contains about 250 titles on humanities and social sciences. Contains about 1,600 titles on humanities and social sciences from Taiwan and China; from 1991. 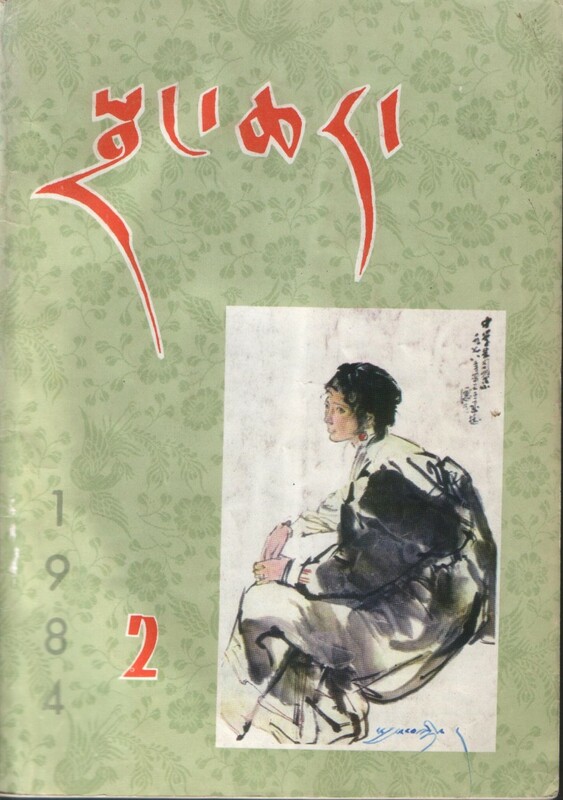 British Library has Xizang Ribao (Tibet Daily, 1956-1985) & CU holds a full run of the Tibetan version, Bod-ljongs nyin re'i tshags par, from 1981 to 2003. Soon, a nearly full run of the paper since 1956 will be available on microfilm. Contact the Tibetan Studies Librarian for more information. Zang xue yan jiu lun cong 藏学研究论丛. vol 1-9. [Lhasa] : Xizang ren min chu ban she, 1989-2005. Series collecting the best Chinese language research on Tibet. Sorensen, Per. A Provisional List of Tibetological Research-Papers and Articles Published in the People's Republic of China and Tibet. Edited by Albrecht Wezler, Nepal Research Centre Publications, no. 17. Stuttgart: Franz Steiner Verlag Wiesbaden GMBH, 1991. Wu Fengpei. “Zangzu shiliao shumu juyao (hanwen yi) [A Bibliography of the Studies in Tibetan History—part 1 Chinese Sources].” Xizang yanjiu, December (1981): 112-127. The publications (ranging in date from 1908-1981) are indexed according to period, genre, or topic. This is the Chinese equivalent of Google's scanning of key library resources. All out-of-copyright contents (pre-modern literature, monographs in the Republic era, old English books, etc.) are FREE to everyone! Copyrighted materials are only available to institutions owning the material. They even allow you to draw a Chinese character by using your mouse and then search against their calligraphy database! Site also has an English-language version, but the English search engine using Xizang yielded no results, so it may only be useful for orienting yourself to the website. Journal of the West China Border Research Society. Chengtu, China. v.1 (1922/23)-v.16 (1945). U.S.-funded journal focused on Khams. Available via Bibliography of Asian Studies (BAS). Walravens, Hartmut. "The First Tibetan Serials." The Serials Librarian v. 41, no. 2 (2001): 29–38. Manen, Johan van. "Three Tibetan newspapers." Proceedings of the Asiatic Society of Bengal, N.S. 22, XXXII-XXXIII (1926). Bray, John. "A.H. Francke's La Dvags Kyi Akhbar: The First Tibetan Newspaper." The Tibet Journal v. 13, no. 3 (1988): 58–63. Meng Zang wei yuan hui gong bao 蒙 藏委員會公報. Meng Zang wei yuan hui zong wu chu. 1929-1940s. Serial Publication: Periodical : Microform v.: ill.; 25 cm. [Nanjing : Meng Zang wei yuan hui zong wu chu]. Important publication of the Mongolian and Tibetan Affairs Commission, based in Nanjing (and Chongqing). v.1 with "Table of contents" of the set shelved in 250 Level Reference 2 section. Includes: relevant articles from important republican journals such as 《东方杂志》、《政府公报》、《边政公论》as well as Zang wen bai hua bao 藏文白话报. 1913-1914, a Beijing-based publication of the Mongolian and Tibetan Affairs Office (Meng Zang shi wu ju). Kolmas, J. “Index to Articles in the K'ang-Tsang Yen-Chiu Yüeh-K'an (A Contribution to the Bibliography of Tibet).” The Journal of the Tibet Society 1 (1982): 15-40. Chinese studies on Tibetan culture: a facsimile reproduction of the K'ang-Tsang Yen-Chiu Yüen-K'an (Hsi K'ang-Tibet Research Monthly). edited with an introduction and indexes by Josef Kolmas ; foreword by Lokesh Chandra. Śata-piṭaka series : Indo-Asian literatures ; v. 332. New Delhi : International Academy of Indian Culture, 1983. Fengpei, Wu. “Zangzu shiliao shumu juyao (hanwen yi) [A Bibliography of the Studies in Tibetan History—part 1 Chinese Sources].” Xizang yanjiu, December (1981): 112-127. The publications (1908-1981) are indexed according to period, genre, or topic.